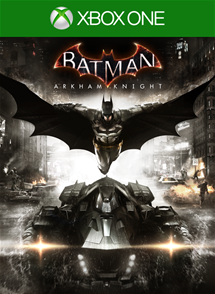 In spring of 2007 Eidos acquired the rights to make a Batman game. In May of that year they appointed Rocksteady to handle the job. Rocksteady had only ever created one game prior to taking on the biggest name in super heroes; for many in the video game world, it didn’t seem like a great fit. At the time, and still to this day, making a great super hero/comic book game was nearly impossible. A few Spiderman games here and there worked out well, but overall the success in the super hero genre of games was few and far between. In August of 2008, Batman Arkham Asylum was first introduced. I personally remember being incredibly interested in the announcement, and I also remember many video game news outlets being very cautiously optimistic. The general vibe was, well it looks really good but it’s a super hero game so let’s not get our hopes up. And even later when those same people got a chance to play it pre-release at shows or backroom demos, I recall many of them still holding their breath. On August 25th 2009 those cautiously optimistic critics, fans, and gamers all collectively sighed in relief, while simultaneously having their breath taken away. Rocksteady created one of the best games in video game history and the new standard for superhero games in Arkham Asylum. They brilliantly took ideas and inspiration from games like Zelda, Metroid, and Bioshock. They brought in voice actors from the animated series and the story itself was based on little chunks from the comics and the series and it was all put together in an incredible game. The tone, eeriness, and graphics were all top notch. On top of that the gameplay was revolutionary. The brand new combat scheme was built around Batman’s fluidness and utter power, and many games have borrowed from the gameplay since. To go along with the top notch combat, Rocksteady added predator moments in the game, where each enemy is armed and dangerous and Batman picks them all off with terror inducing precision. In every category Arkham Asylum was a masterpiece. Just two years later Rocksteady added another first-class game to the series in, Arkham City. The story, set-piece moments, and sheer scale of the game were all pushed to new limits while still maintaining the core near flawless gameplay. Rocksteady was allowed four years to develop their third and final addition to the Batman Arkham series. (Batman Origins was developed by a different team, it was a fine game but nowhere near the excellence of the Rocksteady outputs.) Just like they were handed a challenging and downright nearly unfeasible task for the first Arkham game, creating a third and final act in this awesome trilogy that lives up to the first two was just as difficult. Did Rocksteady handle this last mission and create a truly satisfying final moment for Batman in the Arkham universe? I can undoubtedly, without any remorse, say they absolutely did! 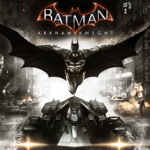 Batman Arkham Knight takes place about a year after the events from Arkham City. Spoiler alert, Joker was killed at the end of Arkham City by the self-induced titan toxin he gave himself at the end of Arkham Asylum. Gotham doesn’t really know if Batman killed Joker or not, but they are truly just happy to see the menace gone. For months and months many waited to see when something else would rock Gotham back to its knees, but crime instead dropped and the city began to sigh in relief to its much calmer and safer home. Little did they know that Scarecrow had been working tirelessly on a chemical that had the potential to devastate Gotham like nothing else it has ever seen. On Halloween, a fitting night, Scarecrow dropped a small portion of his fear toxin on the city to show the world what it could do and draw Batman out of his cave. In one night Scarecrow wanted to humiliate Batman, take over Gotham, and show the world that fear was the ultimate weapon. To do so he asked nearly every nemesis of Batman to drum up trouble all over Gotham. Scarecrow even recruited a powerful new ally, who called himself the Arkham Knight, whose singular mission seemed to be killing Batman. All of this story is told in just the first few moments of the game, setting up what will obviously be one insane night for Batman. The story in Arkham Knight is incredible and it truly drives the game. It’s hard to go into detail because there are many moments throughout the game that twist and turn in every direction. In short, without spoiling anything, I’ll say this. Scarecrow is handled wonderfully. He is handled like a man with a mission who truly wants to wreak havoc all over Gotham and eventually the world. It’s clear he wants to take down Batman, but before doing so he wants to make sure the world sees Batman as a failure and not a hero. If Scarecrow just simply kills the Batman, than he would go down as a martyr. But if he shows Batman himself, and the rest of the world, that Batman is a lowly man full of mistakes and regrets, than the world will lose hope in heroes and fall into utter fear. The mysterious Arkham Knight however just wants Batman dead, but he decides to go along with Scarecrow’s demands for now. To help, the Arkham Knight has a massive Militia that does every will of the Scarecrow and Knight. Who is the Arkham Knight? Why does he want Batman destroyed? That is revealed later in the game and it’s a very interesting plot twist. I obviously won’t spoil it. Sadly the reveal for who this masked Knight is was a bit anticlimactic. I personally thought they hinted too much at who it was just by some of the things he said and story elements that were provided leading up to the reveal. 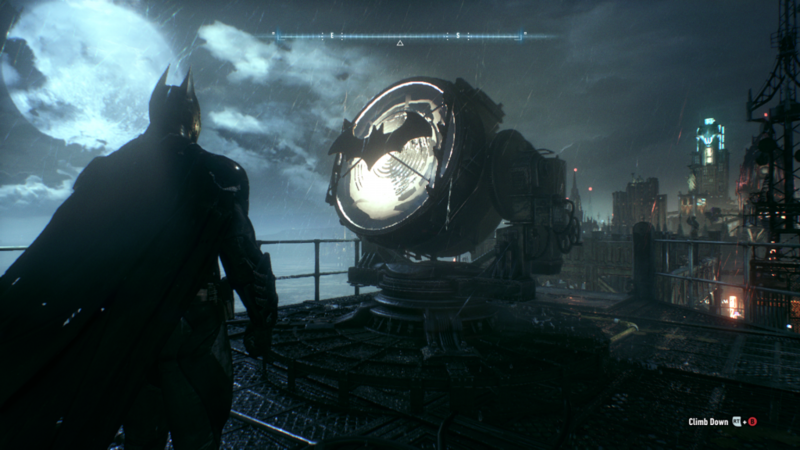 However it really comes around at the end of the game in an amazing way that, as a HUGE Batman fan, gave me goose bumps. Batman faces against a new adversary who calls himself the Arkham Knight… It seems like much more than mere mockery, possibly personal? Joker also plays a much bigger role in the game than I had anticipated. He has two separate roles with the story of the game, both of which are amazing. Joker is dead, he died in Arkham City and they even start out Arkham Knight with Joker being burned in an incinerator. I choose not to say one more thing about Joker’s role in the game, because I really want everyone to enjoy his surprise role. But I promise that you will not be disappointed. And to be honest, even though he is dead and he isn’t threatening Gotham the way Scarecrow or the Arkham Knight are, his role in this game is more interesting than anything in the game and anything in the previous titles. And that’s not to downplay the story in the Arkham trilogy or the Arkham Knight’s story. The story for these games has always been amazing; that’s just how GOOD Joker’s place is in this game that it even outplays everything else. It’s like the story in Arkham Knight and the whole trilogy get’s an A+ in my book. Joker in previous games gets an A+. Joker in Arkham Knight gets an A+++. 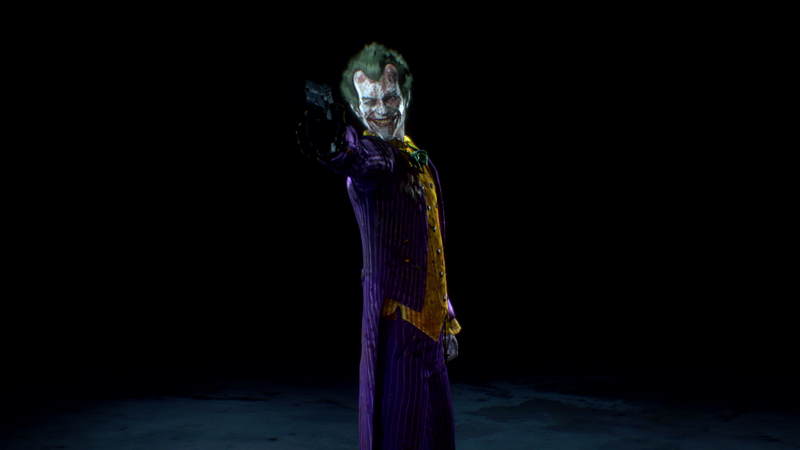 I’ve already probably said to much, I don’t want to spoil anything, I just really want to get my point across about how much I love the Joker in this game. Batman’s rollercoaster story in Arkham Knight is amazing as well. His character, who he is as a person and who he is as a hero are attacked all night long, but he forever stays strong. More important than anything to Batman are his loved ones. His friends and who he considers family are the most important things in his life. Even the city of Gotham is like family to him, no matter how much it beats himself up. The roles of Robin, Nightwing, Oracle/Barbara, and Commissioner Gordon are all so strong. Each of them comes to Batman’s rescue at different points of the game and each of them are also saved by Batman himself. Lucius Fox plays a big part and of course Alfred’s has his ever remarkable role as Batman’s friend, helper, fellow detective, butler, and father-like role. For the entire game Batman is thrown into tremendously difficult situations that put him in just as much emotional and psychological danger as they do physical danger. Every villain seems to want to get into Batman’s head, and there are situations where it seems like maybe Batman made the wrong choice in trying to save everyone. He always has the impossible task of balancing who he needs help from and who he doesn’t want to put in danger in the process. In the end, the story wraps up in a bittersweet way but in an extremely satisfying way at the same time. There’s an ending to the main story and than a “Knightfall” ending that can be unlocked once all the side-missions (called Most Wanted missions) are completed. This ending is filled with both mystery and satisfaction and it leaves the door open for Rocksteady to maybe continue to create games in the universe or someone else pick up a very interesting story at a pivotal place. Along with the main story being phenomenal, the Most Wanted missions are also a huge success. Part of the reason Batman is such an incredible super hero is his villains and the varying characteristics they have. Some of the Most Wanted missions are very small and some are quite large. Of course Penguin and Two Face are in the game but so are many others, I won’t spoil them. The world building in the game is amazing. It really feels like the city is falling apart and it really feels like all the super villains are taking advantage. Radom thugs in the street or Militia members comment on every new twist and turn in all the different Most Wanted and Main Story moments. There’s little Batman universe Easter eggs all over that diehard fans will appreciate. I can’t wait to see what secrets begin to be revealed in the coming months. There’s a whole room in Arkham Asylum that took over a year for the fans to find that shows massive hints to Arkham City. And in City there was a boat that had Scarecrow’s information about his upcoming attack that takes place in Arkham Knight. Those are just a few of the hidden goodies in previous games, what does Gotham in the Arkham Knight have hidden about? The gameplay is right on par with the previous games. 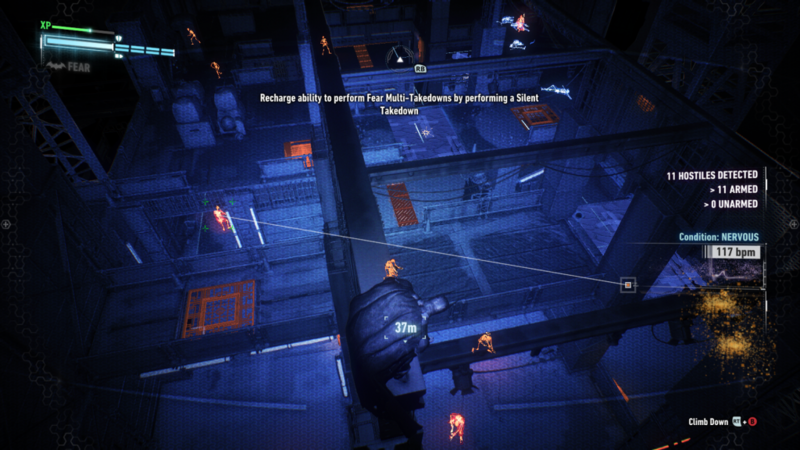 There are four pillars of gameplay in the Arkham series; traversal, puzzles, combat, and predator mode. 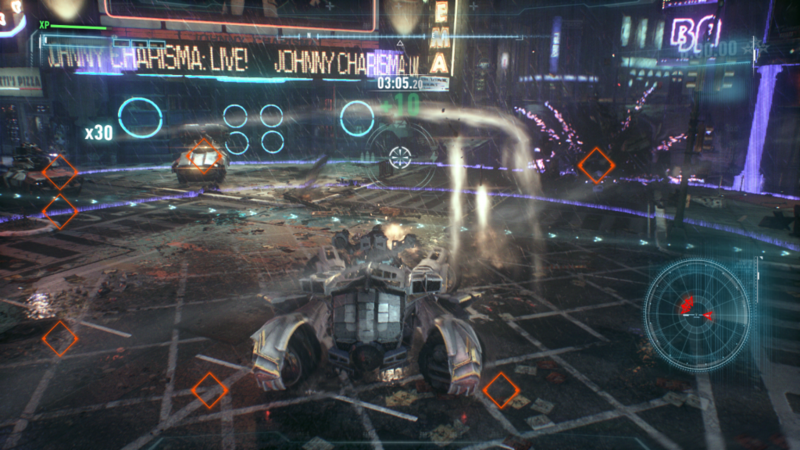 In Arkham Knight the big addition is the Batmobile, and these four pillars all join right along. Let’s talk about that now. Obviously you can use the Batmobile to drive through the city, although there are different points where some of the three different islands that make up Gotham may be blocked off temporally. Using the Batmobile to drive through the city is awesome and it works wonders to get from point A to point B. There are also puzzles using the “Tank” version of the Batmobile. With a quick tap and hold of a button, the Batmobile switches from a more classic style to looking similar to the version used in the Nolan movies. In Tank mode the Batmobile can shoot missiles, cannon shots, machine guns, and more. And for the sake of puzzles it can use a power wrench that can attack onto things and break them down or possibly power up a generator. Batman doesn’t kill. So while driving around in the Batmobile he can only ram into other vehicles or shoot a disrupter shot that shuts off the power to the vehicles with multiple hits. While in Tank mode Batman shoots rubber bullets, incapacitated thugs and militia but obviously not killing them. The real explosive power comes when Batman goes against drones. There are unmanned drones flying through the air and moving about the streets, as well as drones that play big roles in the story. At these moments, Batman uses the tank mode to completely obliterate the drones. There’s also stealth type gameplay that uses the tank mode. There is a specific type of drone that is extremely powerful and has a weak spot on the back, so you have to stealthily sneak up behind it. To be honest, for puzzles and traversal, the Batmobile feels right at home at it’s a lot of fun. But the Tank gameplay just doesn’t quite feel Batmany enough and although it provides some definite fun, it isn’t quite on the same level as the other gameplay mechanics. As far as the standard Batman gameplay, it’s as smooth, precise, and instinctive as ever; and maybe even better than ever. The puzzles are fun, interesting, and totally fit right at home for something “The World’s Greatest Detective” would need to solve. The combat is still my favorite in gaming. Batman attacks, counter attacks, uses gadgets, jumps over enemies, and does amazing takedowns in beautiful splendor. It’s all incredibly fluid and becomes second nature in no time. There are many different types of enemies. Some have riot shields, some are big brutes that are twice the size of the average brawler, some fight with electrical taser-like sticks, some are medics that can revive his allies, some use knifes, swords, bates, and more. Every single one of these guys can be taken down in different ways, but also they are immune to certain attacks as well. A brute for example will just block a normal punch, but stun him first with a swing of the cape and he’ll be open for a barrage of punches. Overall the fighting system can be slightly overwhelming at first, but once I got used to it back in Arkham Asylum, it quickly became my favorite combat in gaming. There are new enemies, new takedowns, new gadgets, etc in Arkham Knight and it all feels perfect. As well as combat, the predator mode is back and better than ever. For me, predator mode is the definition of Batman, it’s the best “OMG I AM BATMAN” feeling I can possibly have. 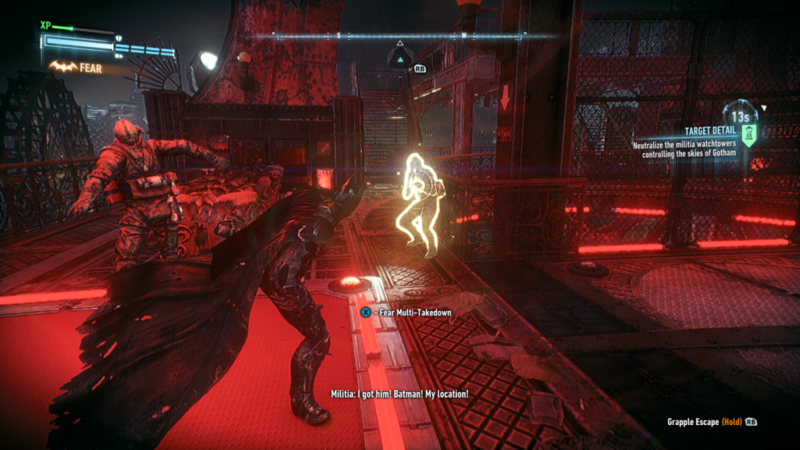 In predator moments of the game, the enemies are armed with guns, gadgets, and gear and their one and only task is to hunt down Batman and kill him. Of course, Batman is the one that ends up doing the hunting. The stealth in this predator gameplay is some of the best in all of gaming in my eyes. Batman can hide inside grates, up on high ledges, behind walls, and wherever else he desires. One by one Batman will take down each enemy, and the bad guys get more and more terrified with each fallen comrade. There are so many ways to take down enemies in predator mode. Batman can sneak behind an enemy and choke him out. He can use the batclaw to grab someone and pull him off a ledge. He can drop down from a vantage point, pick up the enemy, and hang him upside down from his feet. All the great takedowns return from previous games, but there are plenty of new additions as well. For example there are now environmental takedowns that use surrounding equipment to do extra damage to takedown an enemy quickly. One of the main things that seemed emphasized in this game is using the enemies gear against them. There are many different enemy types to watch out for that make things quite difficult for Batman. There’s an enemy that controls a flying drone that patrols the air directly above. There are medics who can resuscitate someone who Batman has already taken down. There are big brutes that carry mini guns and can’t be taken down by some of the more basic moves. There are enemies who have devices that block Batman’s detective mode (used to see through walls, analyze environmental objects, understand the enemies current weapons, gage enemies fear level, etc) and other enemies that will be able to track Batman when he does use detective mode. As overbearing as all that might be, one of Batman’s greatest strengths is using the enemies weapons against them. So nearly every single enemy type has a counter. That enemy using the drone, Batman can use his hacking tool to make the drone blind for 30 seconds. Or better yet, he can use that hack tool to take the codes from the enemy controlling it to reprogram it to shock the user instead. The disrupter weapon is astoundingly multi-purposeful. The enemy trying to track Batman when he uses detective mode will actually backfire and shock him instead of finding Batman. Or the enemy that is about to resuscitate someone, instead of that shocking him back awake, Batman can sabotage it to shock the medic to sleep. This list goes on and on. But Batman only gets a few shots with the disruptor, so use them wisely. Another huge addition to gameplay in general and most useful in predator mode is the Fear Takedown. Batman is known to bring fear into the hearts of his enemies. When he is lined up at the right place, maybe right above the enemy, hiding below, or right behind a corner, Batman can use the fear takedown method to instantly takedown multiple enemies. Basically, he pops out of nowhere to completely incapacitate someone in the blink of an eye. This happens in a very cool looking slow-motion way. When this happens just a couple feet away from another enemy, they get temporality stunned or start firing the gun recklessly aimlessly out of total fear. Batman can chain the fear takedown and sort of “bounce” from one enemy to another in seconds and take down a group of guys. At first Batman can do this to three enemies, but in time it can be upgraded to five. Setting up a scenario to take down three, four, five enemies in seconds in one fell swoop just feels so Batman, it’s perfect. Batman can make a wall explode, take down an enemy loudly, manipulate the bad guys to specific spots to set up a fear takedown of a sorry pathetic bunch. To “reload” the fear takedown again, Batman needs to successfully stealth takedown an enemy, this makes sure that the ability isn’t overpowered. Another way to make sure that all these new takedowns, and specifically the fear takedown, are fair and don’t make Batman too powerful is simple making the levels larger and adding more enemies. In the past there would be five, six, seven enemies on a predator section level. Now there can be as many sixteen. But with the added tools and options, it feels just as fair. Planning out what to do and when is what predator mode is all about. Building that strategy and it working to perfection is so satisfying. Batman just feels like Batman in these predator moments. Traversal has a few new great additions as well. Batman needs to be able to move quicker in Gotham, as it’s three times as big as Arkham City. Batman has free roam to go anywhere with the limits of the game, and to do so he can use the Batmobile or fly/glide through the air. Using a grappling hook and launching into the skies is a great way to move about the city, see just how amazing the scale is, and see just how beautiful the world is. As mentioned before, there is so much to do other than just the story in Arkham Knight. The most wanted missions took up a lot of my time, but I thoroughly enjoyed them. The Riddler challenges take up the most time, as they are hidden everywhere throughout Gotham. I enjoyed every single most wanted mission. Some of them are stronger than others, with the weakest ones being Batmobile focused. I just can’t help but want more and more, the Arkham games always take place in one night, I wish I could be Batman for years and just continue cleaning up Gotham from all the corrupt and crazy villains. As well solving riddles and completing the most wanted, there are also AR challenges. In previous games there was a challenge mode that could be played from the selection screen, instead of jumping into story mode. Now the AR challenges can be entered into from the selection screen AND they are in different spots in Gotham. This is a cool addition, because there were plenty of times I’d notice myself being right next to a challenge and thinking, hey what the heck, I’ll go for it. It feels like it’s a part of the world now, and that’s cool. However challenges do have some problems as well. First off, they didn’t used to be AR challenges. It makes more sense in a world building sense, that Batman can challenge himself with some crazy technology based on augmented reality to hone his skills, as opposed to before when he’d somehow be beating the same bad guys to a pulp over and over. So in a world building sense, it makes more sense. But it also ended up narrowing down the arenas or cool places to fight because now they are scattered throughout Gotham instead of being based on locations in various levels in the game. For example, in Arkham City there were challenge rooms in places that ended up getting blown to bits or are deep inside of labyrinths where whole sections of the story took place. Now, in Arkham Knight, that’s not an option. Since its all “AR” it’s always in easy to reach places in the city. 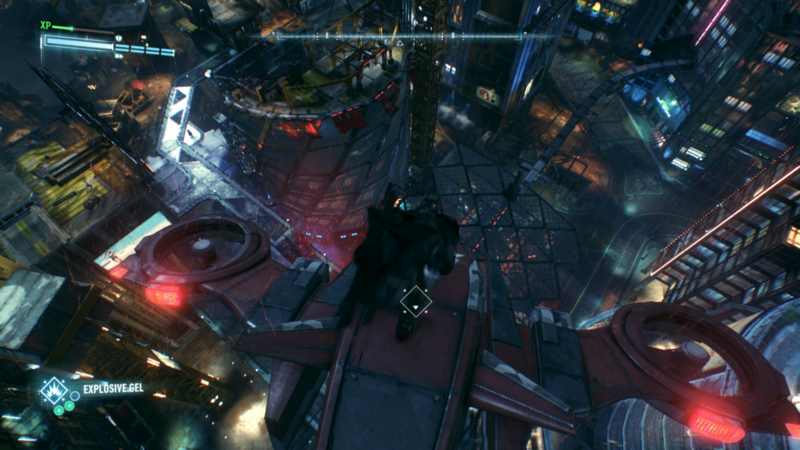 In Arkham Knight there were multiple times that I did a predator mission and thought to myself, oh my gosh this area is awesome! I can’t wait to return to this spot in a challenge! But then I realized that it just won’t be the case, since that cool area isn’t just at the top of a building in Gotham somewhere, it’s instead buried deep inside a story sequence, that may be possible to return to, but there won’ t be AR challenges here. Another big thing that bothered me with challenges is that they totally reworked the combat versions. In previous games it was always round based, in some cool little arena Batman would take down three waves of enemies and the final score would build up to hopefully being one, two, or three stars. In this game the combat is all just one wave, one round, and I just don’t like the way it’s set up. Lastly there are just not enough AR challenges anymore. Honestly in the older games the challenges were some of my favorite parts. I would play them for hours and hours. In predator mode, to get three stars, the goal is to follow the instructions on specific takedowns. For example it might say, get a triple fear takedown, save the medic for last, and get an inverted takedown, do all three of these for three stars. Its loads of fun! But in Arkham Knight there are only four predator challenges and four combat challenges. FOUR OF EACH?!? There were over 50 in the previous games. Plus, they were all playable as Catwoman, Robin, and Nightwing in Arkham City, so that’s 200+ challenges. I honestly don’t know what they were thinking here. There are also now three different kinds of Batmobile AR challenges, so it almost makes me hate them because I feel like they took the place for the ones I enjoy more. 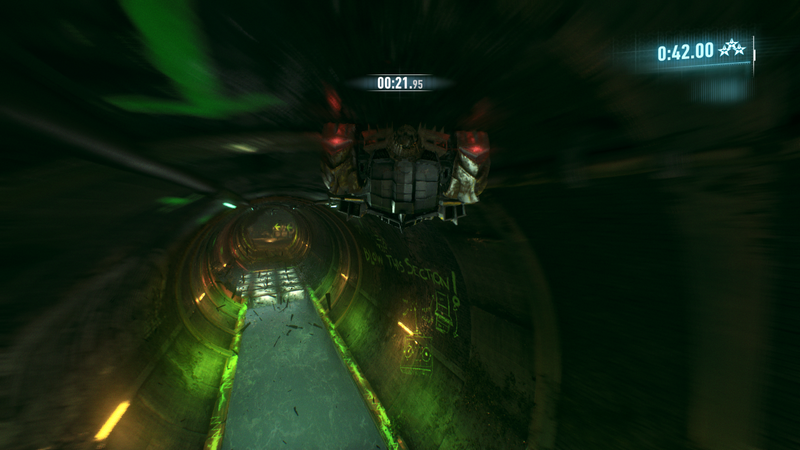 To be fair, the Batmobile racing challenges are a lot of fun, especially the ones based on Riddler challenges. But I’m not as big of a fan of the tank and pursuit challenges. Overall I just really miss the huge amount of predator and combat challenges from the older games. This is huge replay value that is completely gone. Perhaps it will be DLC down the road? But will it ever add up to the amount in the previous games? Let me just say this; Batman Arkham Knight is one of the best looking games I’ve ever seen. 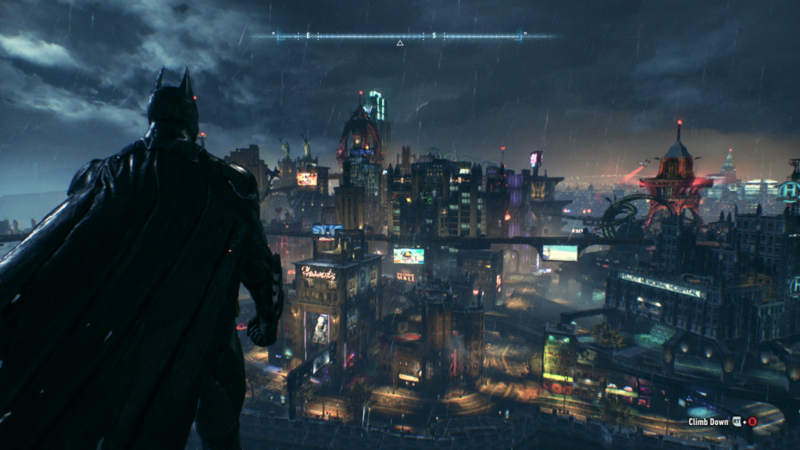 The detail, the colors, the rain, the lighting, the effects, the whole city of Gotham, it’s just all delicious eye candy. My only complaint when it comes to the visuals is the character design for some. Scarecrow, Batman, Arkham Knight, Joker, Robin, Oracle, Penguin, Two-Face, they are all homeruns. But some of the characters went through some major plastic surgery or something because they look drastically different from previous versions. Poison Ivy for example looks like a completely different character from the last game, and I’m not a fan of the design. They went for a more realistic look, I understand that, but I still don’t like it. The Riddler has always been one of my favorites, his design in the last game was perfect, I don’t like what he looks like in this version. Overall most of the slight changes were for the better, but some were just so drastic that it kinda threw me off. The voice acting and the writing is first-rate. The Joker is incredible, Mark Hamill as always, nails his role as the clown prince of crime. Kevin Conroy, as the Dark Night, is consistently marvelous. Every voice and every line sounds like it fits perfectly without the world of the game, within Gotham. The music in the game is wonderful. In predator mode is where it shines, as the music ramps up to great intensity with every additional take down. The music has sounds from the animated series, while still giving it its own unique feel. Meanwhile, for the first time in the series I also heard hints of the soundtrack from the Nolan films, and the mix of all three of these adds up to a beautifully Batmany soundtrack that my ears seriously love. Rocksteady had a very difficult task in completing the Arkham series and Batman’s incredible story told through these games. But they’ve proven once again that they are one of the best developers out there. The main story, with all of the twists and turns and amazing character development is the best of the bunch and something that every Batman fan should enjoy. Scarecrow, the Arkham Knight, Joker, and of course Batman and his family each have perfect roles in the game. And again, the way Joker is handled is phenomenal. The story is definitely hard to swallow at times, the game is now rated M for a reason, with some events being a kick in the gut, but it’s bittersweet in the best ways and something I really loved. The varying gameplay is top notch; Rocksteady knows how to create a game that never gets boring. The game switches from puzzles to combat to tanks to predator without missing a beat. The tank stuff may be just a bit off-putting when compared to Batman being Batman, but it’s still certainly a lot of fun. The combat and predator modes are as amazing as ever. 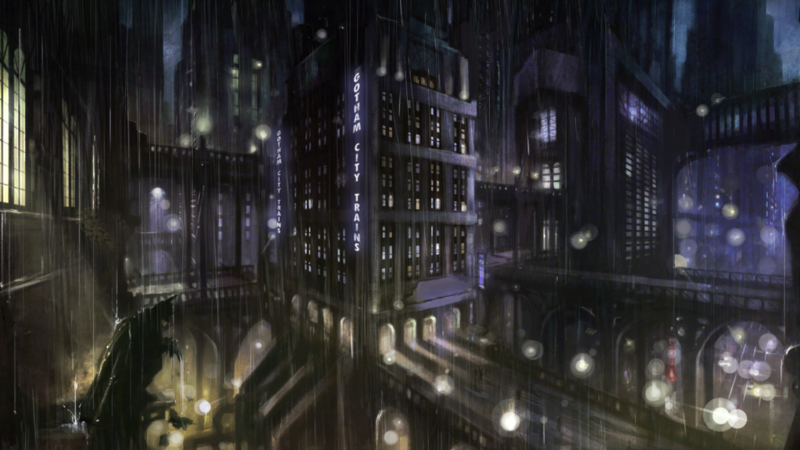 Meanwhile the city of Gotham is massive and traversing it and cleaning up the streets are so much fun. Batman’s tool set makes the game a true sandbox experience; allowing the player to tackle scenarios in any way they please. The Most Wanted side missions add hours and hours of fun to go along with the perfect length 10ish hour main story. 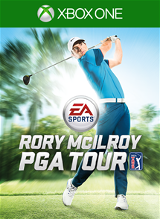 The AR challenges are a bit of a letdown, since they are bare in comparison to the robustness from the preceding games. They are still extremely fun, I just want more. The game feel in Arkham Knight is special. The story, world building, music and sound, and visual art style combine for a game that really feels like an extraordinary place to be. It just feels so Batman, and that’s all a gamer like me wants. I want to thank Rocksteady for their footprint in the Batman universe. From the animated series, to comics, to the big screen, finding a place in the world of Batman isn’t easy. But somewhere Rocksteady created possibly my favorite way to experience the Dark Night. The Christopher Nolan films are some of my favorite. The animated series will always have a huge place in my heart as the definition of what Batman is to me. Experiencing Batman, playing as him, being him, in a wonderful world that pays homage to all those things I’ve grown to love and creating a series of games that matches my extremely high expectations for the caped crusader is something that truly blows me away. I want to be the night, to be vengeance, I want to be Batman! And thanks to Rocksteady and the Arkham series—I can and I am! 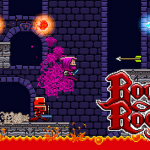 Roving Rogue is a 2D platformer designed to look and play like games from the golden-age of gaming. 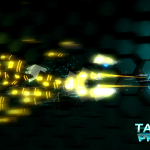 Developer Padaone Games endeavors to create a game with 42 frantic levels, a story interestingly told backwards, and simple yet deep mechanics. There’s tons of attempted humor, a classic art style, and a fascinating platforming tool. With indie games in a renaissance and kickstarted games taking over, classic throwback 8-bit and 16-bit games are suddenly flooding the market. Standing out as a truly special game is difficult. For every Shovel Knight, one of the best games of the last decade, there are hundreds of shovelware piles of crap that are reminiscent of why the video game industry crashed back in 1983. 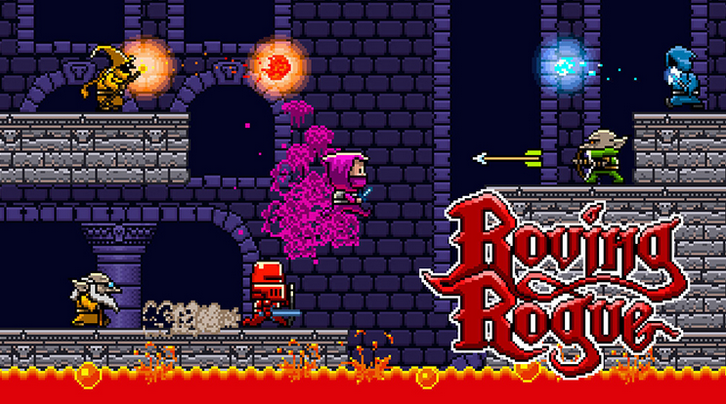 Sadly for Padaone Games, Roving Rogue definitely falls closer to the shovelware category. Roving Rogue’s story is funny and interesting for about 5 seconds. In the very first moment of the game, you will kill the final boss. From then on the game is actually played backwards; since the main character has lost his memory and needs to recount what actually happened. While there could have been so many amazing gameplay elements revolved around playing a story backwards, the game doesn’t take advantage of this. Levels still play the same way, enemies attack and the goal is to get to the finish line of the level. If the game didn’t tell me that I was starting in world 6 and the story didn’t tell me everything is backwards, I would have had no idea. The game also starts each level with text from different characters in the game. In this it seems Padaone wanted to build lore and add humor. Every single quote ends in a hashtag joke, but it gets old very quickly and with almost every #joke it is extremely obvious that they are #tryingtohard. There are two huge problems with the gameplay of Roving Rogue. One is that the gameplay is extremely repetitive. In the game’s 42 levels it really doesn’t introduce anything knew. The second problem is that that aforementioned repetitive gameplay is borderline broken and just plain boring. It would be one thing if the game was repetitive but still fun. For example Temple Run was a huge success, Guitar Hero is another example. Those games are pretty darn repetitive, but it’s still full of a lot of enjoyment. Roving Rogue just isn’t fun. 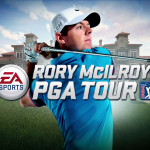 As I already mentioned, the gameplay is tedious and monotonous. There are new enemies and new levels, but they don’t add anything to the game. The enemies are not a threat at all; they slightly bump the player backwards a bit. Some have swords, some have arrows, some can levitate, but all of them are just minor annoyances in the way. In every level there is always an environmental hazard forcing the player to run to the exit. There’s lava, rocks, etc; the goal is always to get to the exit without letting those things catch up. There are also three collectables in each level. Actually managing to pick up those collectables is a real challenge, and sometimes they are positioned in places that are almost impossible. Sadly the reason they are so hard to get is not because of bad level design, although that is most certainly the case as well, it’s more because of bad and nearly broken platforming. This broken platforming all has to do with the character’s special ability. He is a ninja of sorts, he can teleport; vanish and reappear to jump across pitfalls, make higher jumps, and dash throw objects. To pull this off I just had to press and hold the button, move the analog in one of eight different directions (North, Northeast, East, South East, and so on), and let go to disappear in a pink cloud of smoke and reappear at the requested destination. One major problem…. It just doesn’t work. Countless times I would attempt to point the teleport jump northeast, only to have the arrow move in a blink of an eye to the east instead, and I’d fall to my death. So many times I would CLEARLY set up to land perfectly on a platform, only to have my character mysteriously land multiple platforms below and completely miss the landing spot I was shooting for. The irritation and frustration kicked in very quickly. Everything revolves around these ninja teleports and it truly felt like half the time I attempted them the game would screw up and I’d land in a pit of lava. The gameplay just doesn’t need finished. The jumping is floaty and unnatural. The enemies are pointless. The level design feels like it is poorly procedurally generated as opposed to being put together brick by brick with purpose. The graphics in Roving Rogue are awfully basic and lifeless. There are so many old 8-bit and 16-bit style games from the past that are gorgeous. There are also numerous brand new 8-bit and 16-bit games designed in this era, made to look like they are from the 80‘s and 90’s, that look stunning. Roving Rouge just looks dull. The color palette seems limited. The game is unimaginative and just kinda ugly. The sprites design, both enemies and playable characters, aren’t special in any way. The music is atrocious. It’s repetitive and quite painful to the ears. It’d probably be best to play the game on mute, if you choose to play it at all. There is multiplayer in Roving Rogue, it’s simple but it could add some fun to the game. The only option in multiplayer is just to add another player, up to four, to the fold in the normal campaign. Rushing to the exit however, when the jumping and controls are already so busted, only makes beating the levels more obnoxiously difficult; not because of good game design, but because of lousy controls. In a platformer, gameplay is everything. First and foremost a platformer needs to have pinpoint responsive controls; Roving Rogue doesn’t have this at all. A platformer needs to continue to bring new elements of fun to the table and avoid being repetitive, unless the core game is loads and load of fun (although being a bunch of fun AND not being repetitive is obviously the best of both worlds); Roving Rogue fails in this department. And obviously, above all else, the second to second gameplay in a platformer needs to be fun; Roving Rogue is just not fun.